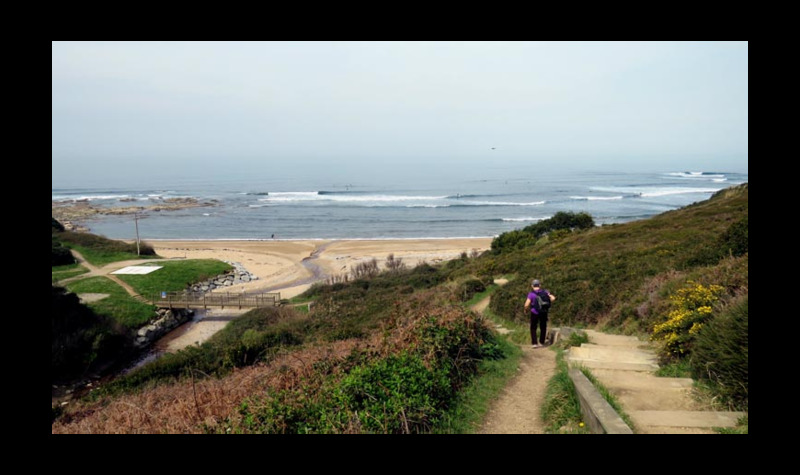 At the south of Ghéthary, on the border with Jean de Luz is the Cenitz spot, an idyllic and sheltered spot. The surf comes to Cenitz in the 70s, the families of Ghéthary surf high and fish crustaceans on bass bass, indeed their bottom is a real mine or, it allows the distribution of rings to the high regatta Crustaceans that one can fish as soon as it is discovered at low tide. Shortly before the 2000s, the beach is classified as a protected natural area, fishermen have deserted, surfers can enjoy the calm of this spot between the valleys. The surf has grown enormously since despite the lack of accessibility to this beach, although the reef can worry some surfers, observing all levels on this spot, because it does not represent a great danger in reality, indeed the waves are the most powerful at the limit, the chances of flowing against the reef are therefore low. - A long left from the big on the left of the spot, recommended for beginners the reef is not too visible and it promotes the learning of surfing. -A right on the right of the spot for good surfers, indeed the reef is particularly visible on this wave, the error is less permissible. The spot works in almost all conditions, from 0.5 to 2.5 meters, preferably with wind / east-southeast.